Left to right - Dr Helmut Kohl, former German Chancellor; Mikhail Gorbatschev, former President of the USSR; His Highness; William Benjamin Mkapa, President of the Republic of Tanzania. 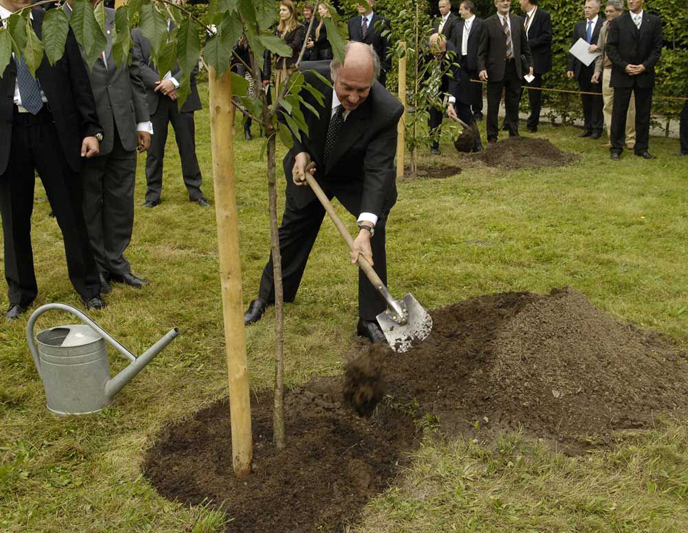 His Highness planting a cherry tree in the park of the Castle Sanssouci in Potsdam, for the "Growing Together" campaign - a part of the official celebrations for the 15th anniversary of German Reunification. 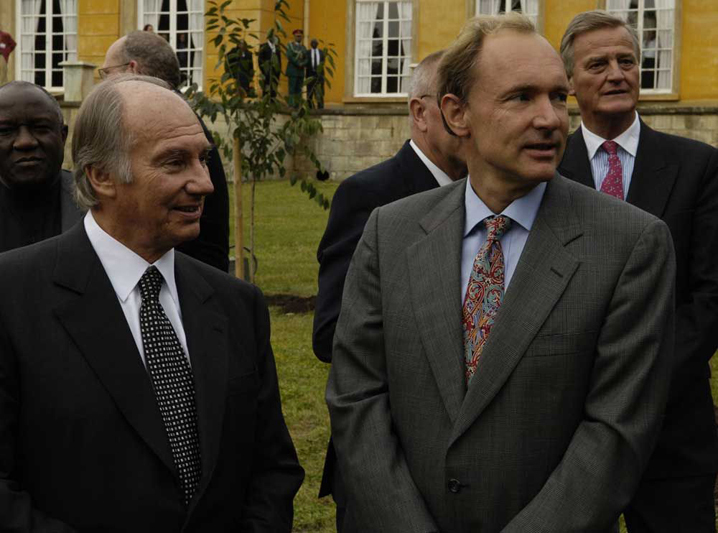 His Highness with Sir Tim Berners-Lee, creator of the internet and Director of the World Wide Web Consortium. 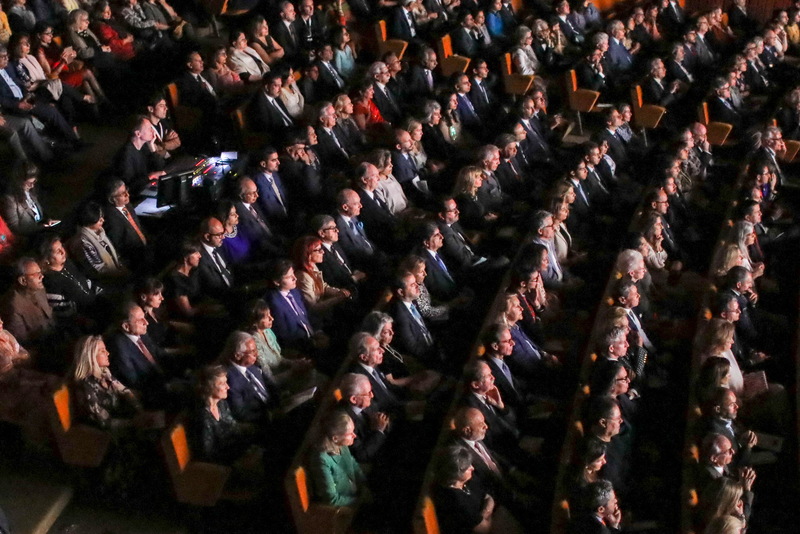 Arriving for Die Quadriga Award Ceremony at the Komische Oper with H.E. 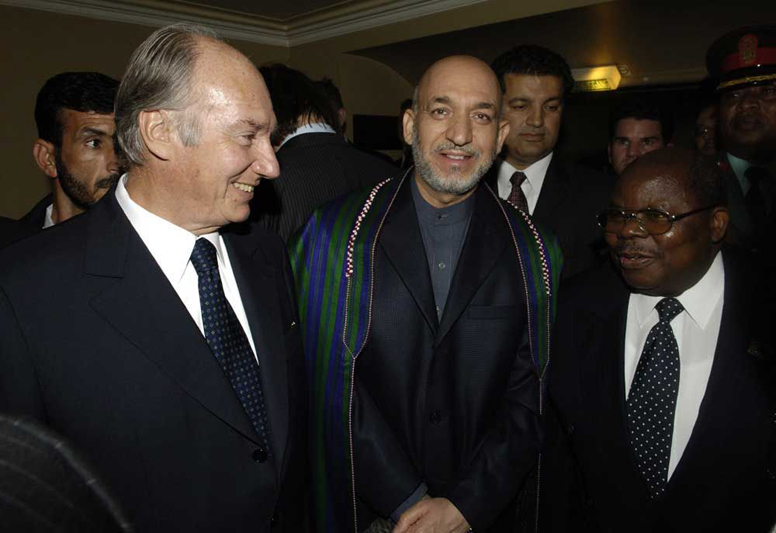 Hamid Karzai, President of Afghanistan, and H.E. William Mkapa, President of Tanzania. 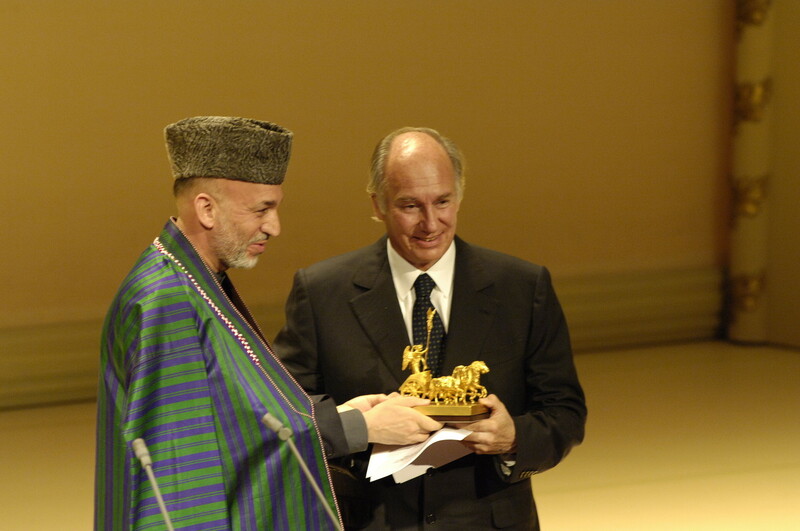 President Hamid Karzai of the Islamic Republic of Afghanistan presents the "United we Care" award to His Highness the Aga Khan. 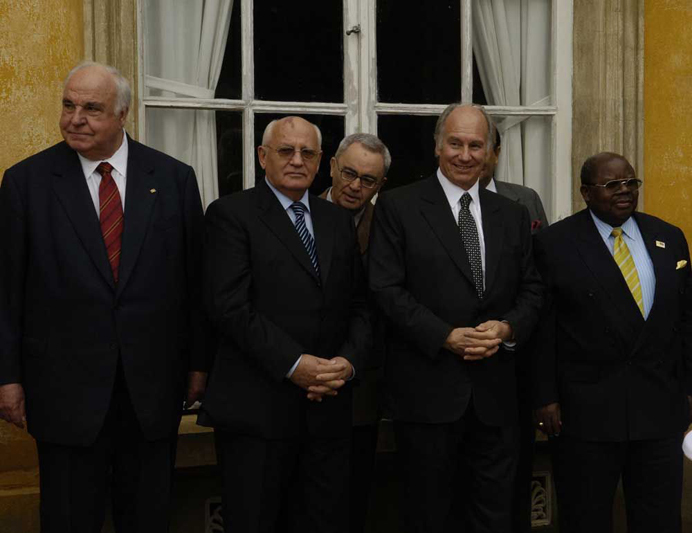 Berlin, Germany, 3 October 2005 - His Highness the Aga Khan, Imam (spiritual leader) of the Ismaili Muslims and founder of the Aga Khan Development Network (AKDN), was today awarded the Die Quadriga prize in recognition of his life's work in helping people in the poorest regions of the world.